Early literacy is everything a child knows about reading and writing before he or she can read or write. Six basic skills comprise early literacy and help determine whether a child ​will be ready ​to learn to read and write. 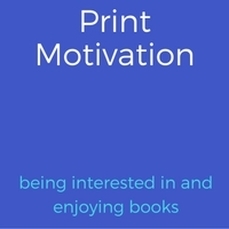 ​Why is being interested in and enjoying books so important? Because kids who enjoy books and reading will be curious about reading and motivated to learn to read for themselves. Motivation is important because learning to read is HARD WORK! It's important that we make sure our children start reading and listening to books from day one and that they have a good time with books. 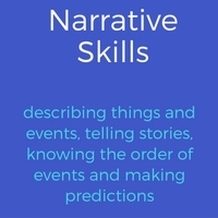 What Can You Do to Help Build this Skill? Stop (or shift gears) when it is no longer fun. Length of time is not important; enjoyment is! ​Children have to be aware of words before they can read them. They need to know how books work - what's the front cover? what's upside down? what page do I start on? do I look from left to right or right to left? When kids are comfortable with books, from knowing how to open a book to understanding what those black squiggles are, they can concentrate on starting to read the words. Read board books that your child can handle on his/her own; let him/her turn ​the pages as you read together. Sometimes point to the words as you read. Talk about print even when you are not reading together. Look for letters and words on signs, labels, and lists. 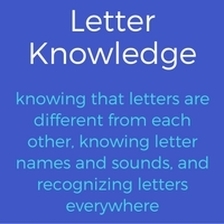 ​To read words, children have to understand that a word is made up of individual letters. ​What Can You Do to Help Build This Skill? 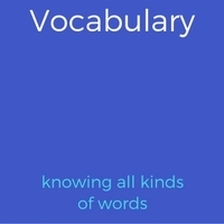 ​It's much easier to read a word when it's a word you already know. 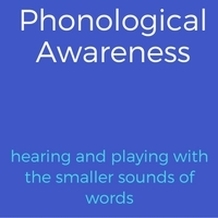 Children with bigger vocabularies have an easier time when they start to read, since it's much easier for them to make sense of what they're sounding out. Encourage children to learn their native or home language first; this makes learning another language (speaking and reading) easier later. Talk with children in positive and conversational ways; commands and “no’s” do not encourage language development. Carry on lots of conversations with children. Explain the meanings of new words. Read books! Picture books use a different vocabulary than casual spoken conversation. ​Children who can hear how words "come apart" into separate sounds will be more successful at "sounding out" words when they start to read. Sing songs; most break words up into one syllable per note. Reading works with syllables also. Recite rhymes; rhymes depend upon ending sounds. Pick a sound for the day. Notice it at the beginning of words and at the end of words. ​Understanding what they're reading is crucial to helping them stay motivated to keep reading. Ask open-ended questions that encourage conversations rather than yes/no or right/wrong answers. Talk about your day and its series of events. Mix up the events in a story; make it silly! Guess what comes next—or come up with a different ending. Read stories without words; they really help focus on this skill. Name objects, feelings, and events.